I have to admit that I'm not the biggest fan of greens on my nails. 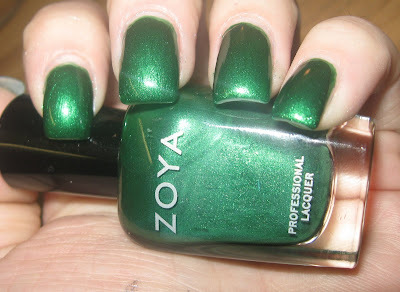 In fact, I rarely find one that I love enough to wear on my nails. But Holly made me a believer. She is the richest shade of green I have ever seen. Not too yellow, too blue, or too black. The only word I have to describe her with is perfect. 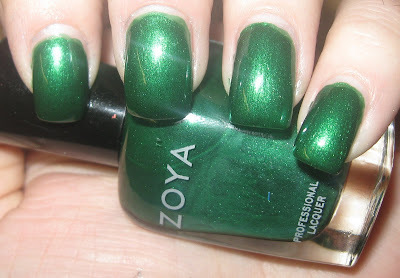 Zoya calls her a metallic, but I do see the slightest hint of shimmer. Enough to keep this glitter fiend happy, anyway. So much so, I rocked Holly for Black Friday at work at received TONS of complements! Then again, it could also just be the candy canes looked so delicious! For Day 14, I'm thinking we take another trip to the movies! So it's time to see which half of my favorite on-screen couple is YOUR favorite? Are you green like Yara and Kermit? Or tickled pink like Reva and Miss Piggy? 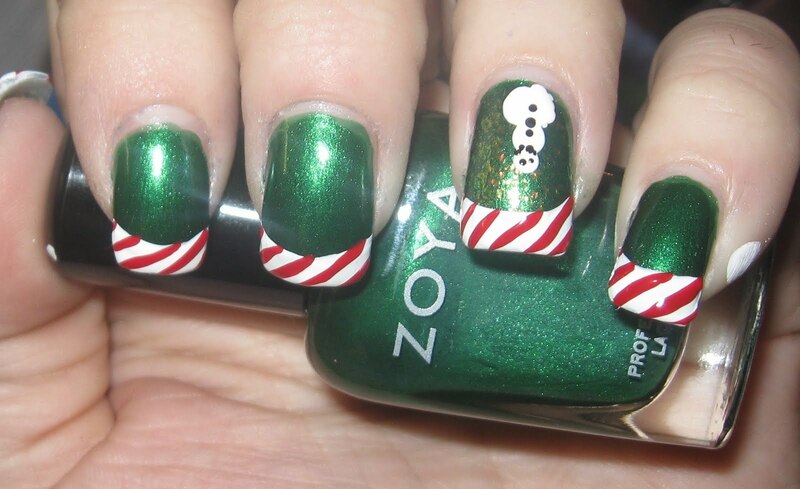 I LOVE the green with candy cane tips, so festive! Green like Yara and Kermit. Definitely love Kermit more, but I'm going to vote for Reva again! Yara! Kermit is the BEST!! KERMIT all the way, so I guess my vote is for Yara. color me Reva and Piggy!